Although pilot Winston Watts is convinced they'll qualify, the team needs to raise a further £25,000 first. 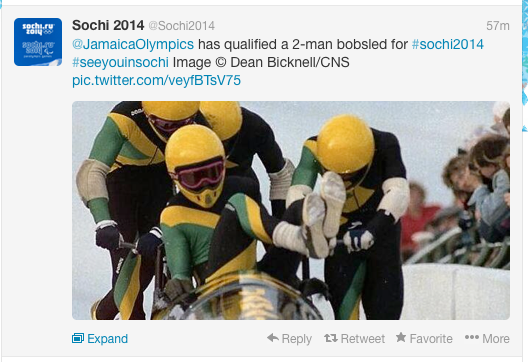 The Jamaican bobsleigh team is close to qualifying for the 2014 Winter Olympics in Sochi, but may not make it due to a lack of funding. Although 30 teams will take part - and Jamaica is only 39th in the rankings - Jamaica will be just one place away once nations with more than two qualifiers are removed. The only team that could stop Jamaica qualifying is the Dutch second team. However, they are likely to withdraw because they have not achieved the standard set by their national governing body. Bobsleigh pilot Winston Watts has also told BBC Sport he is "pretty confident" his team will qualify. However, he explained that his team will require further financial assistance in order to make it, despite having already invested over £100,000 of his own money into the campaign. "We need about $40,000 (£25,000) for travel and also to buy new runners for the sled because we can't go to an Olympics with only one set," Watts said. "Qualifying would mean so much to Jamaica." The 2014 Winter Olympics in Sochi begins on 7 February.